Freedom Farmers Market at The Carter Center offers a wide range of local products including fresh Organic and Naturally Grown produce, sustainably raised meats, farm fresh cured meats, cheese, yogurt, butter, fresh organic milk, nut milks, farm fresh eggs, handmade preserves and pickles, handmade pasta, herbal teas and vinegars, baked goods, fresh coffee and much more! Note the following items are not accepted at Freedom Farmers Market: crafts (unless during our Holiday Market in December), Food items not grown and/ or processed by the vendor, Beverages not produced by vendor business, Carnival-like foods such as: cotton candy, candy apples, candied nuts, kettle corn, toffee, taffy, Overly process and or fired foods, Hot prepared foods (unless participating in our POP UP CHEF program), Energy drinks, meat and dairy products treated with growth hormones such as rBGH, Farmed salmon or salmon products that are not wild caught, Genetically modified crops, Business that operate under a franchise agreement, Non-food items not grown and processed by the producer. 3 Porch Farm is a Certified Naturally Grown farm in Comer Georgia. Steve and Mandy run a small "boutique" farm specializing in beautiful, local, seasonal flower arrangements in addition to fruits, and sustainably grown delights that they produce in their certified kitchen. They'll be bringing their frozen pops (HoneyPops) to the market that are delicious and made only from their own fruit and herbs and sweetened with local honey. All products are produced and stored using solar power and delivered to market in a carbon neutral vehicle that runs on vegetable oil recycled from Athens restaurants. Bee Wild is a 3-generation family owned and operated, sustainable Honeybee apiary in Gainesville Georgia. Owner, John Wright, and his family specialize in small seasonal batches of their varietal honeys so each honey contains its own unique flavor profile that varies year to year and season to season much like fine wine. Checkout their beelicious website at beewild.buzz. Dayspring Dairy is a family owned and operated farm. They are the first licensed sheep dairy and producer of sheep milk cheeses in Alabama. All of their cheeses are made from milk from their flock of eighty dairy sheep, which are shepherded by Greg Kelly. Many of their sheep have names and they affectionately call them “our girls” and are at the heart of their farmstead cheesemaking operation. Ana Kelly is the head cheesemaker and culinary mastermind. Their children also enjoy contributing to the farm and will be an integral part of the business as they grow and mature. Since 1995, Mary has been producing award-winning farmstead artisanal cheeses from Saanan goats. These goats are raised on farm and the chevre, tuma, feta-style, and special varietal cheeses are hand-crafted. These happy goats walk the earth gently. Elm Street Gardens began as a vegetable garden located behind a historic house in Sparta, Georgia. The gardens have continued to expand in size, and become more productive per square foot as the soil continues to improve. Elm Street Gardens has recently expanded its growing area with the addition of more property on Elm Street where three large connected hoop houses have been constructed and are growing much more in the additional two-plus acres. Elm Street Gardens is a certified organic farm. We strive to create a healthy ecosystem with habitat for beneficial insects, birds, bats, frogs, lizards and other organisms. Every year the soil in our garden is improved by adding rich black compost and constant mulching. The soil ecosystem, much like that above ground, depends on diversity for health and balance. By never tilling, we don't disturb the earthworms or other soil life. Our plants work with the soil life to extract the nutrients they need from the soil, much as plants do in nature, so we don't need to add fertilizers. The result is happy, beautiful vegetables and we can not only see the difference, but taste it as well. The health of our soil directly impacts both the health of our plants and of those who consume them. Quality and taste are our results. Franklin Citrus Farms in Statesboro, Georgia, Specializes in growing the amazing tree ripe, Satsuma Mandarin, Sweet Georgia Kisses. Other citrus currently grown on the farm in limited quantities including but not limited to: Georgia Clementines, Tango Tangerines, Gold Nugget Tangerines and Page Tangerines. Our Harvest Season Begins around the middle of October and runs through the first of January. Grateful Pastures is a small family farm in Mansfield, GA. We raise chickens on pasture for meat and eggs. What does it mean that our chicken is pasture-raised? In a nutshell, it means our chickens eat fresh grass every single day. We move their shelters every morning to a fresh patch of pasture so that they can enjoy nature's bounty of grass, seeds, and insects. Since our chickens live outdoors on fresh grass instead of in crowded houses, we never have to use antibiotics. We believe in ecologically-friendly regenerative farming, so we never use pesticides or chemical fertilizers on our pastures. We want to support ecological improvement on other farms as well, so we use Certified Organic Feed. All of this focus on environmental care ultimately leads to nutrient-packed and incredibly tasty chicken meat and eggs. When you buy our pasture-raised chicken, you can expect to taste chicken for the first time in your life. It is truly a different meat in both taste and texture, when raised properly. Tender, Juicy, Flavorful. Try some for dinner tonight! Grow Where You Are is a dynamic full service social enterprise in the field of local food systems. We partner with organizations and individuals to bring food abundance to communities and those who value real food. We design, install, and maintain multiple public and private spaces where food is produced using Agro-Ecological principles. We have been training residents in this dynamic form of urban agriculture for over ten years. 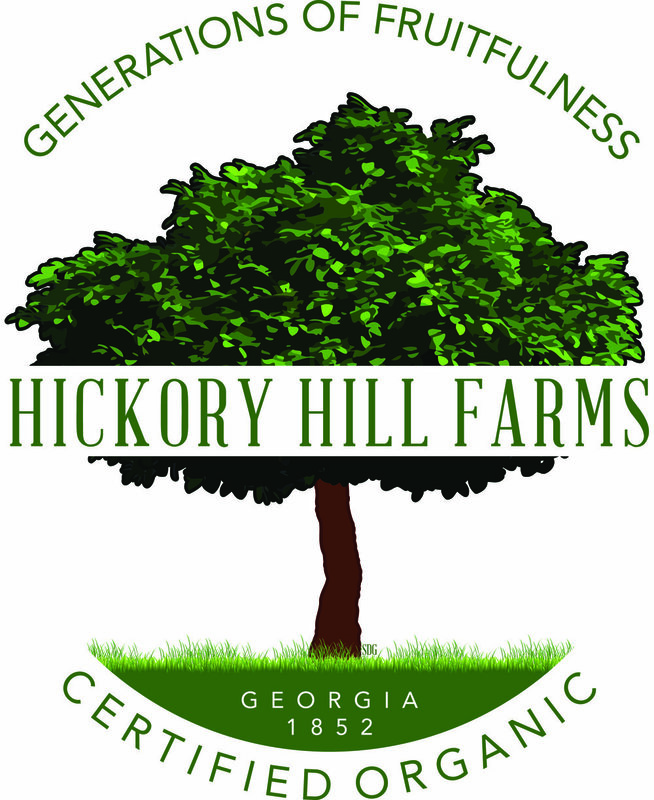 Hickory Hill Farm is a small local family farm, owned and operated by Garry and Susan Shaw. We are located in northeast Georgia, in Oglethorpe County, in the community known to locals as "The Glade". The farm is a 204-acre tract of land, with 5 acres currently in garden. In 2010 we obtained our Certified Naturally Grown standing and in August of 2011 we are proud to say we obtained our USDA Certified Organic status on our vegetable and fruit garden only. Established in 2016, Little Fox Farm is located at the historic Glover family farm in Douglasville, Georgia. We are dedicated to providing Certified Naturally Grown, local vegetables to the community by working alongside nature, not against it. Our vegetables are grown in a bio-diverse environment using sustainable practices that preserve and improve the health of the land and the community. There are currently five acres under cultivation on the property in addition to a greenhouse and a high tunnel where we will be growing over a hundred different varieties of vegetables and flowers this season. Mercier Orchards is a family owned and operated apple orchard now in it's 4th generation. Started back in 1943 by Bill & Adele Mercier, Mercier Orchards is now celebrating over 70 years of fruitful harvest! Moore Farms is a marketing association of small-scale Sustainable, Certified Naturally Grown and USDA Certified Organic food producers. We are very particular about our growing and production practices: we never use any toxic chemicals to grow our food and we only use earth-friendly methods. This is our way of ensuring you have regular access to the high quality, fresh, nutritious and delicious foods we grow for you and your family. Rise ‘N Shine Organic Farm is a Certified Organic farm on 40 acres in the beautiful foothills of the Appalachians. We are located near John’s Mountain National Forest just 1 hour south of Chattanooga, TN, 1 hour North West of Atlanta, and only 15 minutes North of Rome, GA. With over 22 acres under cultivation on the fertile bottom lands of John’s Creek, the Oostanaula River and at the bottom of Turkey Mountain, we grow over 40 different varieties of certified organic vegetables. Additionally, our hoop houses ensure local organic produce available to our customers year round. Signal Mountain Farm is a certified organic farm located just outside of Chattanooga. Thomas O’Neal, a Signal Mountain native, grows over 60 varieties of the best organic fruits and vegetables you'll find—from specialty lettuces and sweet peppers to juicy blueberries and heirloom tomatoes. Thomas spent his summers living with his sister in Maui. He developed a passion for organic farming while helping out on fruit farms, growing bananas, avocados, coconuts, and papayas. In 1998, Thomas founded Signal Mountain Farm with a quarter acre garden and home deliveries to family and friends. His goal was to cultivate the highest quality, certified organic produce in Chattanooga. Sparta Imperial Mushrooms is located in Sparta, GA, the seat of Hancock County, aka "The Hidden Jewell of Georgia." We're all about growing fabulous mushrooms and serving as a driver for economic development for our area (top 5 unemployment rate in Georgia). The farm is a story of a young social entrepreneur out of the Georgia sustainable agriculture community, Jonathan Tescher, and an award-winning designer/entrepreneur/merchant with over forty years of business experience, Robert Currey. The story goes something like this.....Jonathan was working at the non-profit Georgia Organics as the Farmer Services Coordinator where he met Robert. When Robert learned Jonathan had an MBA and a plan to leave after his three year tenure at Georgia Organics to start a mushroom farm, he offered to put up the capital if the business was located in Hancock County. Eighteen months later, as 2012 wound down we entered full production, and the rest is our work in progress. Truly Living Well Center for Natural Urban Agriculture, Inc. (TLW) is a 501(c)3 non-profit organization based in Atlanta. TLW uses quality local food production to connect people to their food and the land, creating better communities through education, economic development and environmental improvement.TLW is a model for a local sustainable food system. Creating food abundance is the foundation for community food security and self-sufficiency. Truly Living Well demonstrates the viability of producing high quality, naturally grown fruits and vegetables in the urban environment. Our five farm sites in Metro Atlanta produce Certified Naturally Grown fruits, vegetables, herbs, flowers and other added-value products. Our model establishes the transformative power of urban agriculture. Truly Living Well demonstrates the potential of a renewed paradigm – the local food economy. Watsonia Farms is the only substantial grower of USDA Organic peaches anywhere in the southeastern United States, and all of our peaches are certified by the USDA for Good Agricultural Practices (GAP) in the field and Good Handling Practices (GHP) after the harvest. Woodland Gardens is a certified organic vegetable, fruit and cut-flower farm in Winterville, Georgia, just outside of Athens. Established in 2000, we specialize in highly diverse annual production, and we grow over 80 different fruits and vegetables. Our focus is specialty production for chefs and market. We operate year-round and utilize several types of greenhouses and high tunnels to extend our seasons and increase the quality of our production. We strive for high efficiency and unique quality on our twelve acres in production, and we are continually improving our inputs. Everyone on our farm team is skilled and experienced, and that keeps our farm tremendously productive. Wrecking Barn Farm, just 30 miles from the acclaimed Wrecking Bar Brewpub in Atlanta’s Little Five Points, is committed to growing high-quality and diverse organic produce for its sibling bar-restaurant, other fine area dining destinations, an expanding CSA, and farmers markets. Already cultivating seven acres in Loganville at the former Dillwood Farms, the Wrecking Barn encompasses 63 acres. Long-term plans for the land include livestock, a brewery and barrel aging room, and an idyllic event space. The farm uses organic practices, crop rotation and cover cropping. 1000 Faces is a coffee roaster, merchant of change, and voyager of the agrarian spirit. We travel to countries of origin and establish relationships with producers to ensure the integrity of our coffee. We have been honored two years running by the Good Food Awards for responsible production and shear quality. The company is located in Athens, Georgia, carrying on the small town's legacy of creating unique products of enlivening substance. Almeta Tullossa and Nicole Bluh are growers and food scientists creating local and culturally significant, nutritionally dense vinegars with our native fruits, flowers and herbs. These are to be used as garnishes, in cooking and food preparation as well as for drinking by making cocktail and our famous non-alcoholic cocktails. We offer abundant samples and share the significance of the produce we grow and utilize to customers visiting our tent. Our business also offers beverage service at events. Georgia Grinders almond butter is handcrafted in a dedicated peanut free and gluten free facility that we own/operate so that we can guarantee quality, freshness, and flavor. Using simple, all natural ingredients, NaturAlmond is available in 4 flavors: Original, Honey Roasted, Maple Caramel and Salt Free. We never add sugars, oils, emulsifiers or preservatives. Here's to your health! The Oliver Farm located near Pitts, Georgia in Wilcox County is a family owned and operated working farm. Since 2012 the farm has been recognized by the state of Georgia for being a centennial farm; a farm owned by the same family for 100 years or more. Originally purchased in 1903 by Daniel Henderson Watson, the farm is currently owned and operated by the fifth generation of the same family. Oliver Farm makes cold pressed, non-GMO oils from sunflower, pecan, peanut, sesame, walnut, and pumpkin. They also make Glutton free flour from pecans, peanuts! One Screw Loose - not your grannie's jelly! Our grannie didn't make jelly with her beer (she drank it), but we do. We are a micro-sized family business making specialty food products and we have a good time doing it. We're proud to be part of a hard-working, high-spirited, talented community of food producers and consumers. Piedmont Provisions is based in lovely Athens, GA. We handcraft small batch preserves, jam, mustard, pickles, vinegar, shrubs and all things saucy, using regionally sourced and organic ingredients whenever possible. Our preserves are created using traditional methods and hand-hammered copper pots, which allow the true fruit flavor to shine without being overly processed. Pastries at the Café at Cakes & Ale are all made in-house, from scratch every day using King Arthur Flour and no preservatives. Enjoy a delicious pastry with a cup Counter Culture Coffee or espresso drink or take them away for tomorrow's breakfast! Atlanta's culinary dream shop will be bringing their freshly baked breads to the farmers' market. Imagine having access to the pantry and walk-in cooler of Bacchanalia for your cooking preparations. That's what Star Provisions is all about. Stone Mountain Herbs blends functional herbal teas that provide many healthy benefits. We make our own skin salves, lip balms and bath salts. All of our ingredients are sustainably harvested and organically grown. We grow many of our ingredients at The Funny Farm in Stone Mountain, GA.
Storico Fresco is a handmade pasta company based in Atlanta. Inspired by the unique food traditions of Old Italy, we carefully recreate that country’s nearly forgotten pasta recipes with farm-fresh ingredients, a dedication to authenticity, and a full measure of passion. All of our pastas are handmade with ingredients that are either locally sourced or brought directly from Italy; and our organic Georgia farms grow natural herbs and fresh produce using seeds harvested straight from the Italian countryside. Treehouse Milk is the first company dedicated to producing almond, pecan, macadamia and cashew milks here in Atlanta. Our Sweet Georgia Pecan Milk is packed with South Georgia pecans and has garnered rave reviews. All of our milks are made fresh daily in small batches, and contain only honest, simple ingredients. Just in time for Freedom Farmers Market, we're unveiling two brand new flavors: Chocolate Pecan Milk and Almond Oat Milk. If you’re tired of reading about how your almond milk is 2 percent almonds and 98 percent chemicals you can’t pronounce (plus water), you’re in luck! We’re fresh, dairy-free and nutty since 2015. The Resetarits family split their time between South Carolina and Alaska. Doug is a part-time Carolinian, but a 30 year Homer, Alaska native. He is a licensed Coast Guard captain and former Bering Sea crabber of TV’s Deadliest Catch Fame. Alaska salmon fisheries are certified sustainable and recognized worldwide as a model of successful fisheries management and economic prosperity. They operate four, 32 foot fishing boats in Bristol Bay, the largest wild red salmonor sockeye salmon fishery in the world. While Alaska is a huge state, it has a small population giving them one of the cleanest and most natural marine environments on earth. Valona Shrimp Company offers the finest seafood Coastal Georgia Has to offer. We guarantee everything we sell and deliver to market is fresh and domestic Georgian seafood. We will never sell any foreign or non-local seafood to our customers. Though our product availability is determined by the season and current conditions , we do our best to provide the best quality catch that our shrimp boat sources, fishermen & oyster harvesters deliver for the market. Valona Shrimp Company proudly offers both Georgia Brown & White shrimp (seasonally separate), Clams, Crabs, Oysters and different types of native Coastal Georgia fin fish.